Mobile Banking gives you secure, on-the-go access to your accounts so you can manage your money wherever you are. Don't have an Online Banking password? Give us a call at (818) 846-1710 and ask for a temporary password. Transfer a credit card balance right from your mobile phone. 1. Login to Mobile Banking and select "Transfer a Loan Balance." 2. Enter the required information from the payment coupon of the balance you want to pay off. 3. Choose the loan that you are using to payoff the existing loan. 4. Confirm your payoff and you're done. * Not all members will qualify. Certain restrictions apply. All loans are subject to Gain Federal Credit Union standard lending rules and requirements. Contact the Credit Union for complete details. 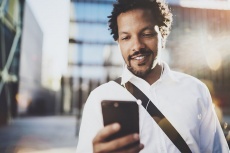 Mobile Bill Pay lets you pay your bills on the go. Mobile Bill Pay lets you make bill payments through your smart phone - without writing a check, buying a stamp or licking an envelope. Mobile Deposit lets you securely deposit a check using your mobile device that has a camera. Download the Gain Mobile App to your smartphone, sign in to your account and tap the Mobile Deposit link on the main menu screen. Now there's no need to drive to the Credit Union or an ATM. How do I prepare my check for Mobile Deposit? On the back of the check please write "For Deposit Only to GFCU," include your member number and sign the check. How long should I keep my check once I deposit it? Gain FCU requires that you retain any check deposited through Mobile Banking for sixty (60) days. After the sixty (60) days, you should securely destroy the check. What if I'm not eligible to use Mobile Deposit? Call us at (818) 846-1710 and we will review your account. Each member is allowed to deposit $3,000 - $25,000 per day depending upon your average daily balance. What apps support the Mobile Deposit feature? Currently, the downloadable apps for Android & Apple iOS devices are supported. Apple devices must be running iOS 5.1.1 or later and have a rear facing camera. Android devices must be running Android 2.2 or later and have a rear facing camera. Yes. 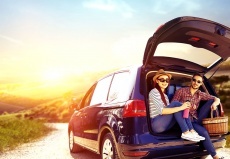 The full amount (up to your daily limit) is available, excluding any holds that may apply. Gain FCU's Mobile Deposit feature in our Mobile app is free to use. However, your data plan may have fees which will apply. What if my one-time PIN is expired? If you receive a message saying that your one-time PIN has expired, give us a call and we will assist you. Shop confidently and fight fraud with Card Control. Card Control lets you immediately switch your cards on or off from your smartphone or tablet, all in real-time. You can set a daily spend limit for each card to actively manage your expenses. Plus you can view your card billing information and expiration dates. So how do you get Card Control? 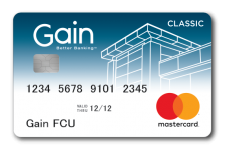 Download the Gain FCU Mobile app, then log in and tap the 'Card Controls' option. Can anyone use Card Controls? Yes, any member can use Card Controls as long as they are enrolled in Mobile Banking, and have a Gain debit or credit card on the account. Make sure to have the most recent update installed. Will it automatically show all the cards that are available for me to control, including joint or authorized user cards? It will show all, non-blocked/non-captured cards on the account that the user is logged in to, including joint cards. If I am a joint owner can I adjust the spending limits? If you have a login to the account on Mobile Banking, you will be able to adjust limits on that card. Are the spending limits permanent? Spending limits are "set and forget." So in order to change the limit you would need to adjust it again in the app. Please Note: The spending limit displayed in the mobile app is subject to your credit limit on credit cards and your available balance on your debit card. Will this work for my Home Equity credit card? Yes, all cards will be available, including the Home Equity card. I saw that you can mark the card lost no reorder or lost and reorder. What is the difference? If you mark your card "Lost and No Reorder" that means your card will be blocked but you will not receive a new card. If you mark the card "Lost and Reorder" that will block your card and automatically reorder a new card for you that will be sent to the address you have on file with the Credit Union.